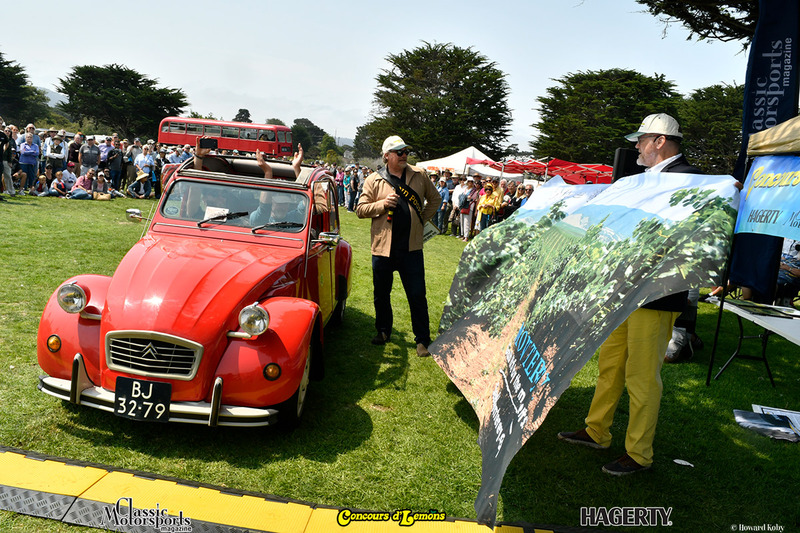 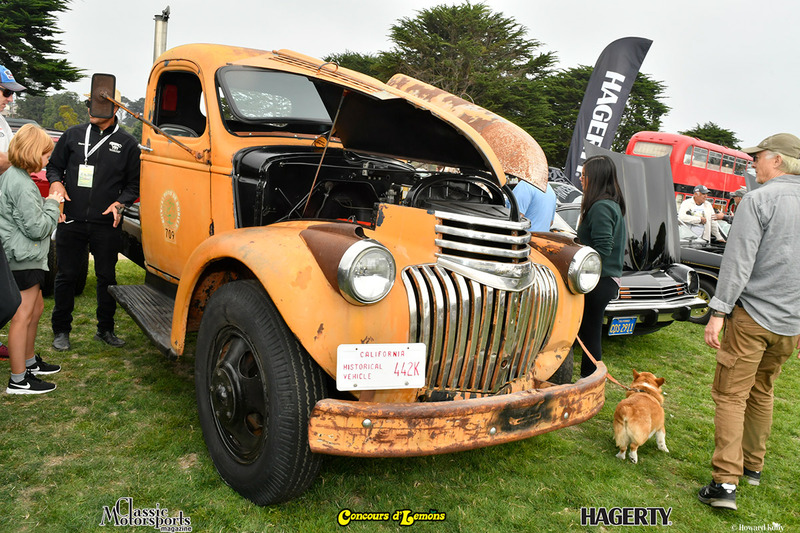 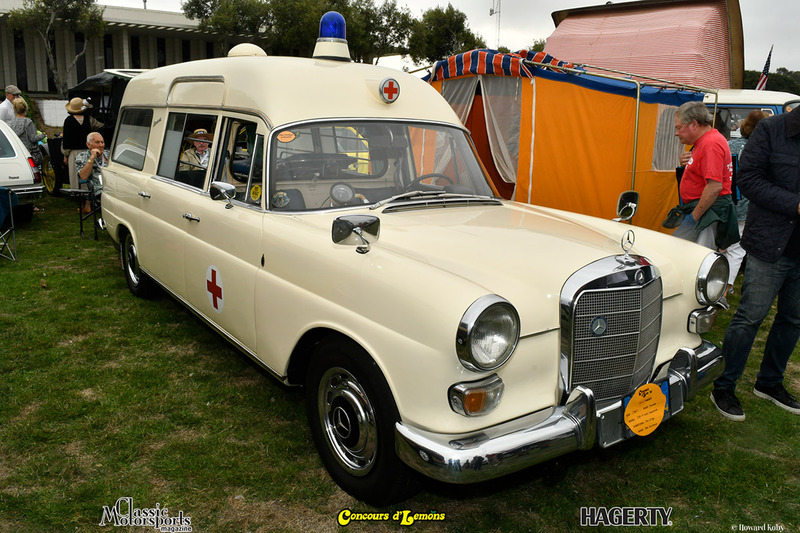 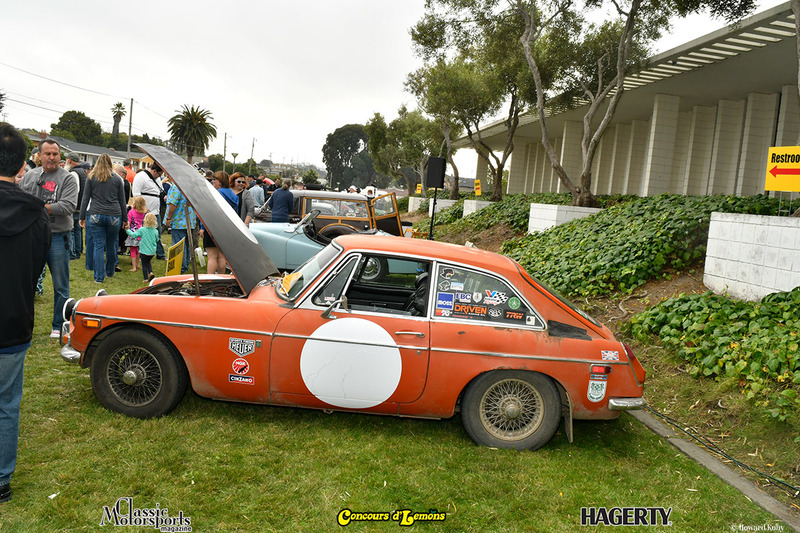 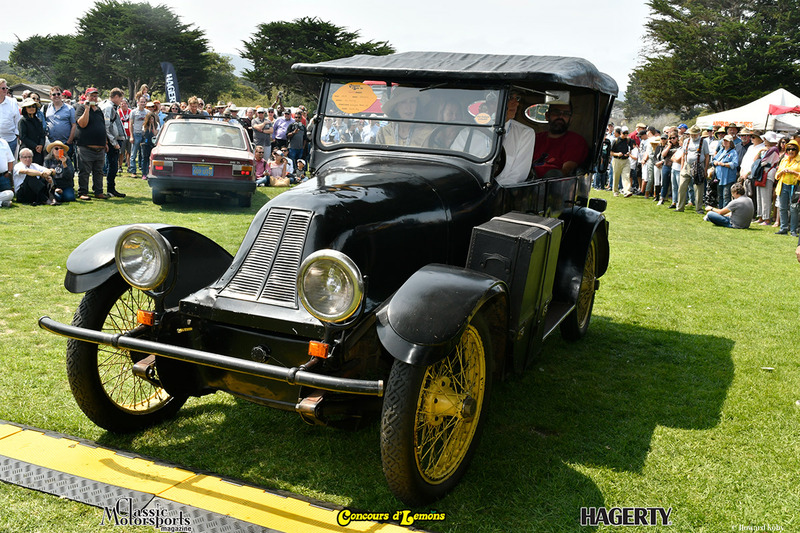 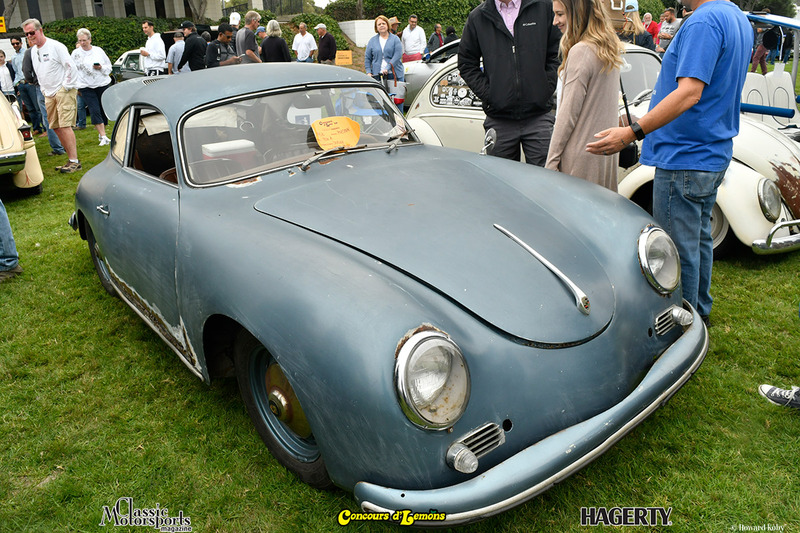 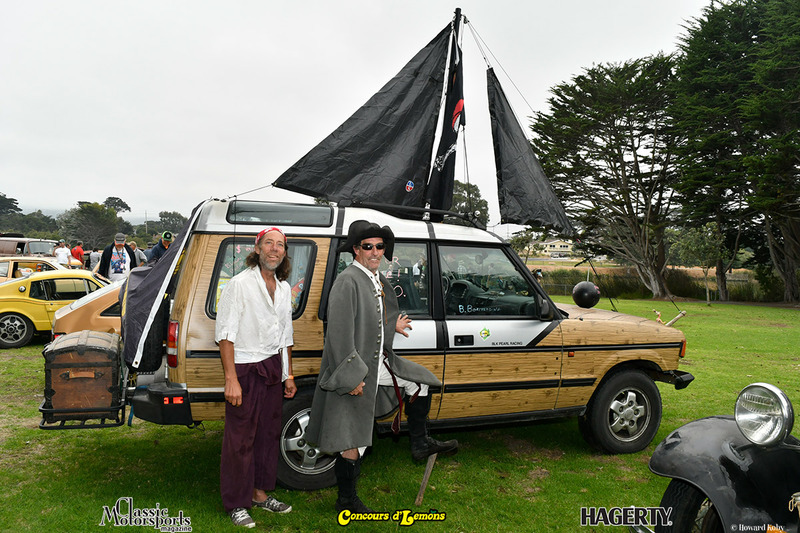 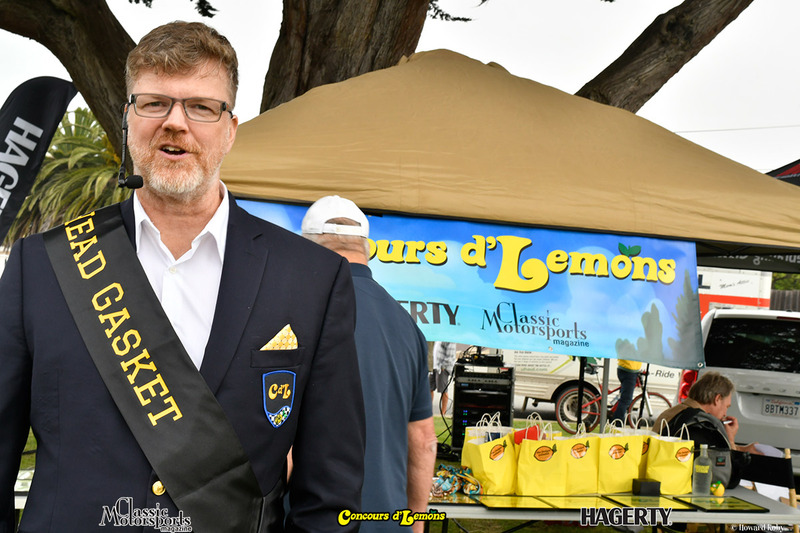 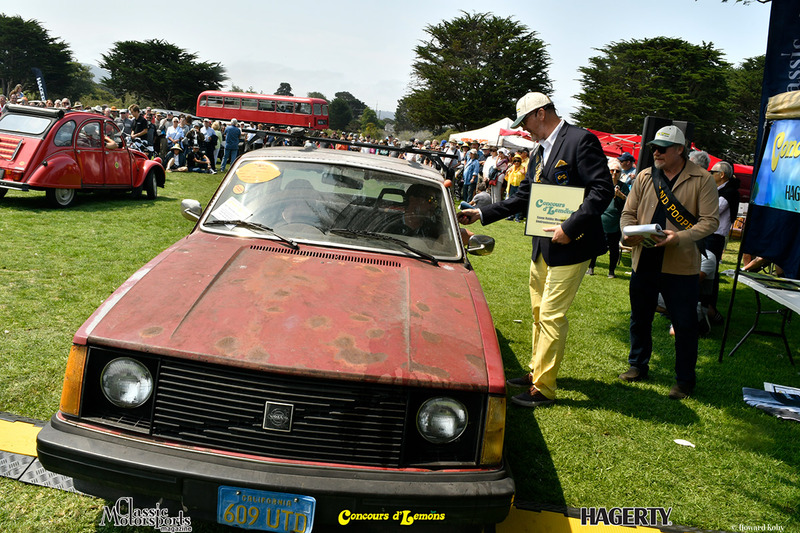 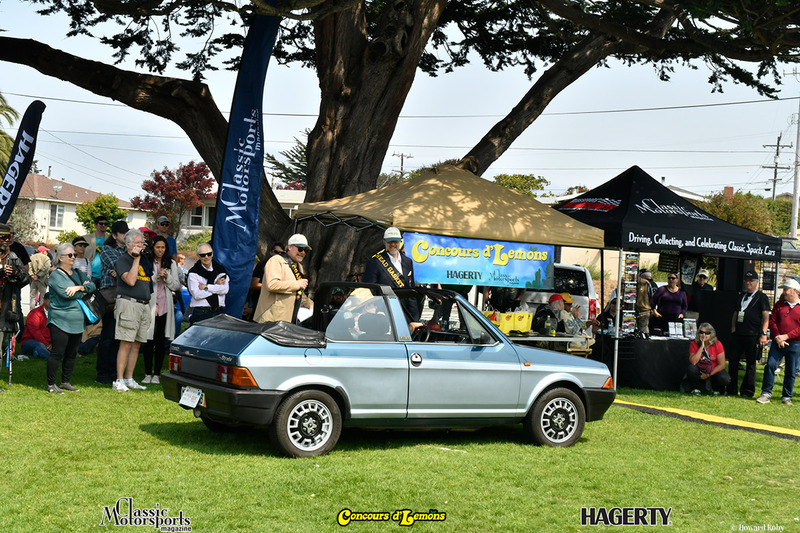 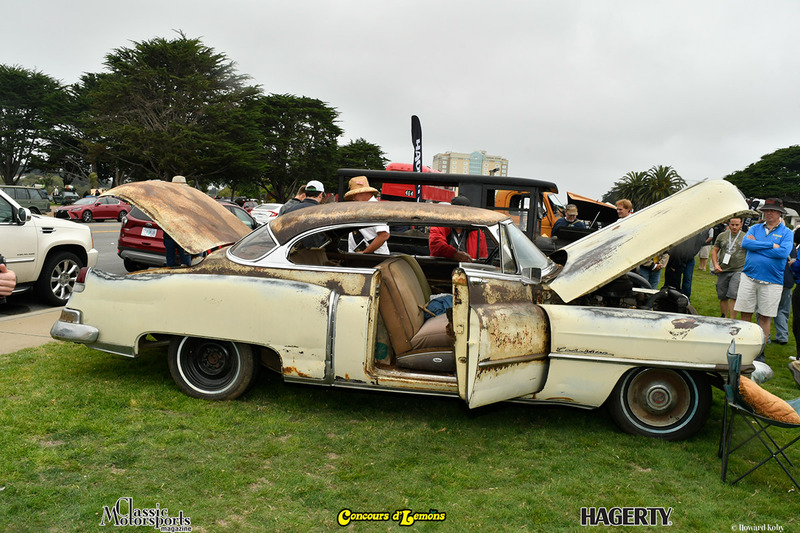 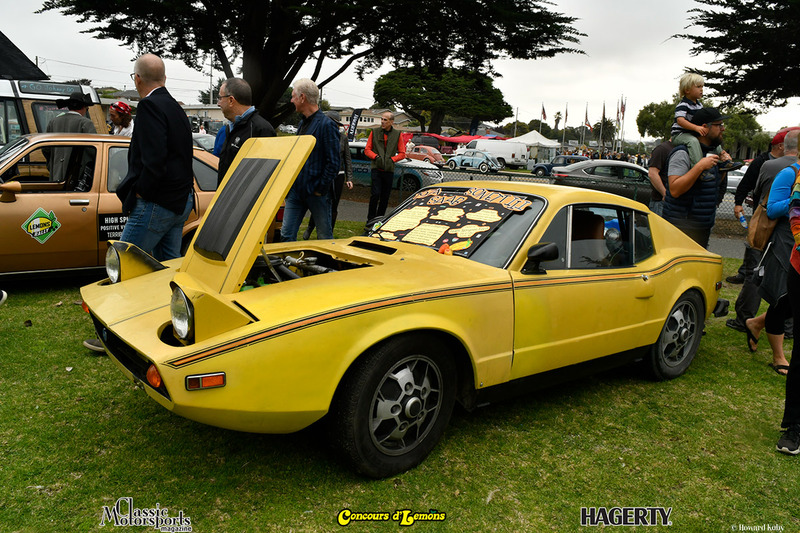 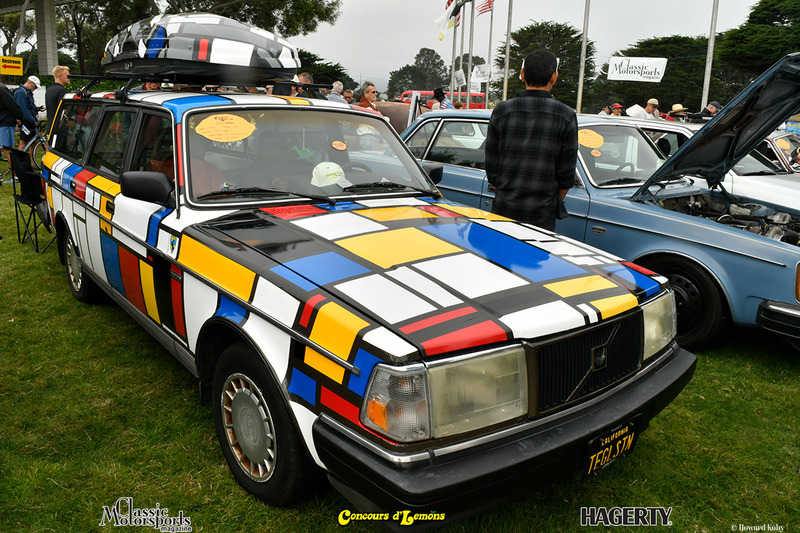 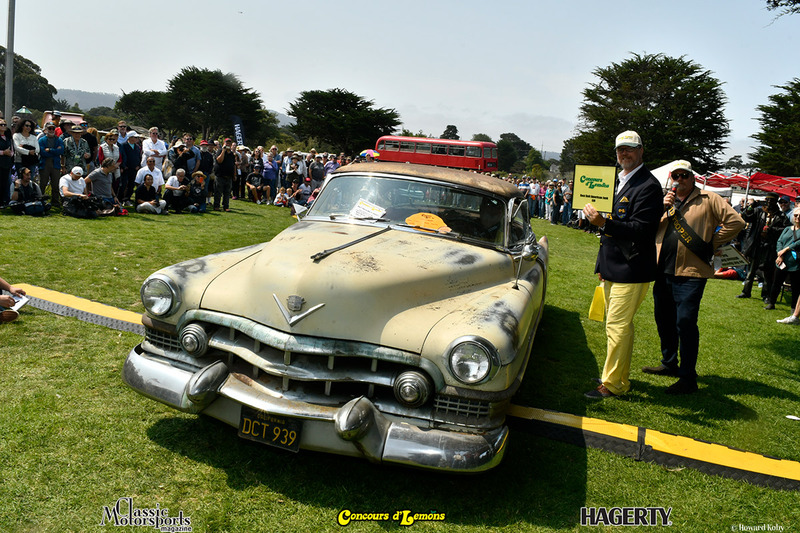 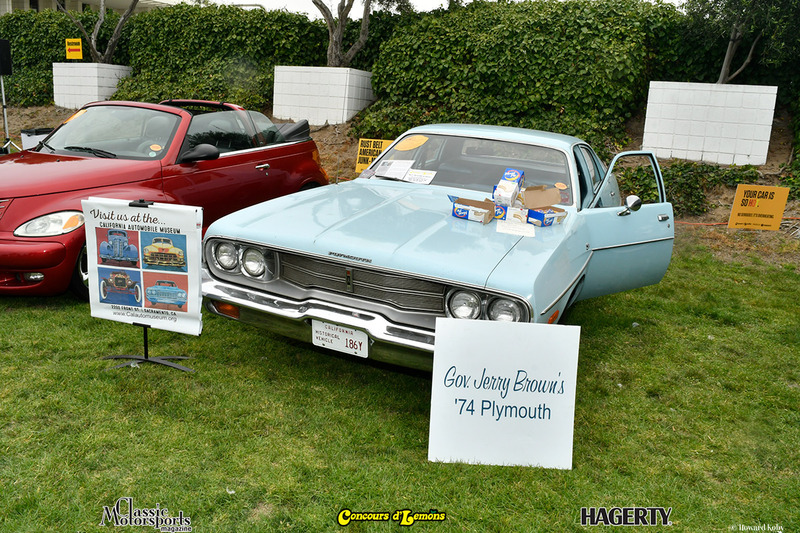 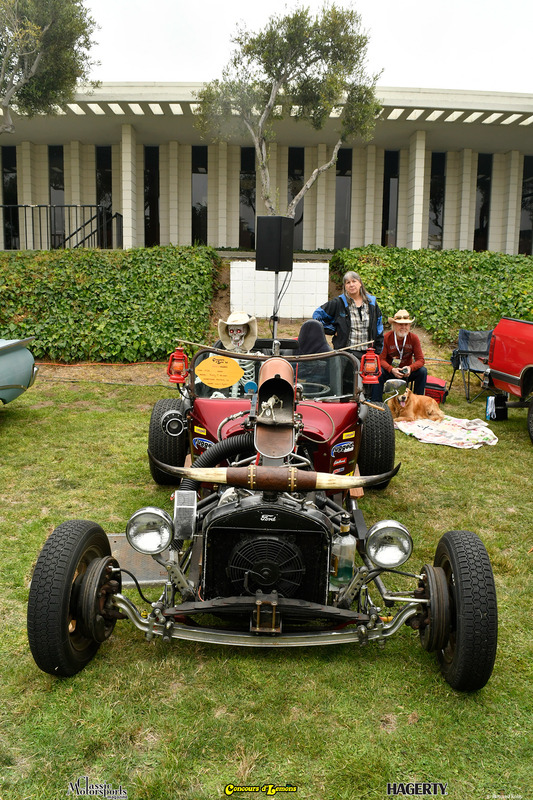 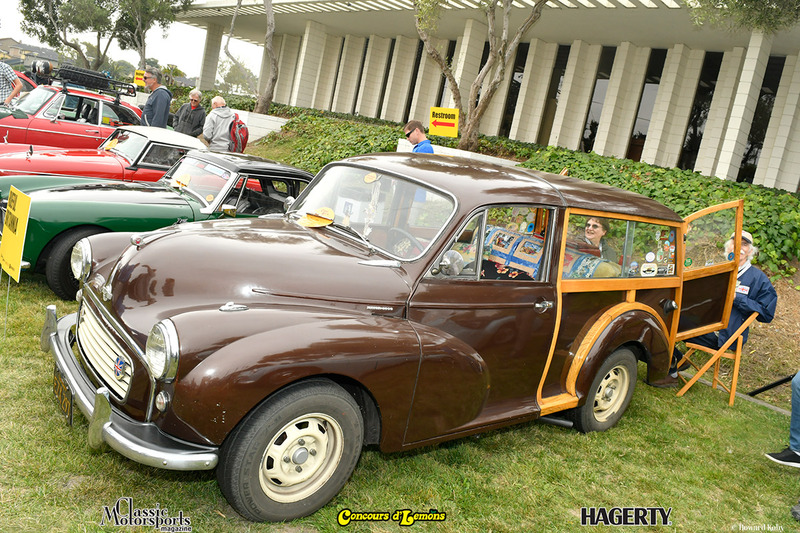 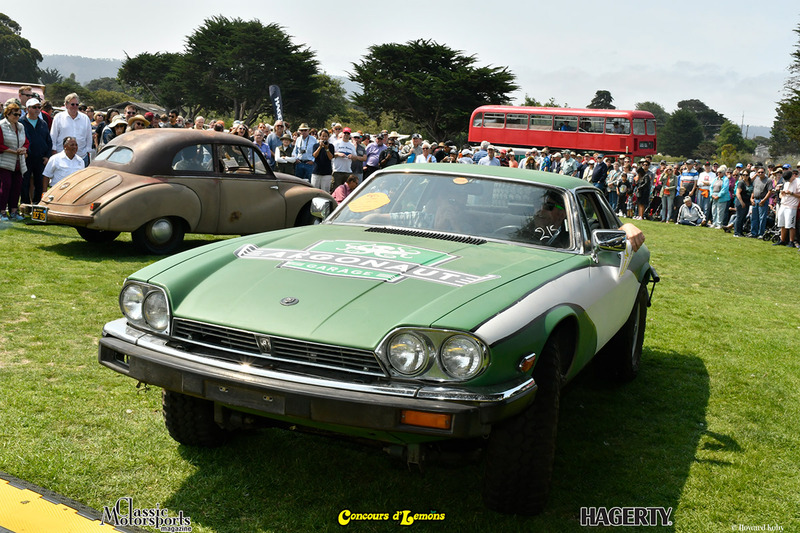 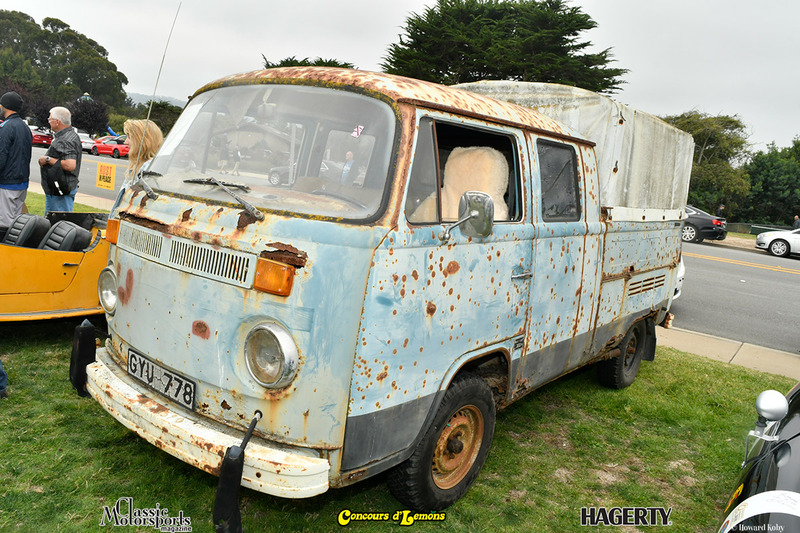 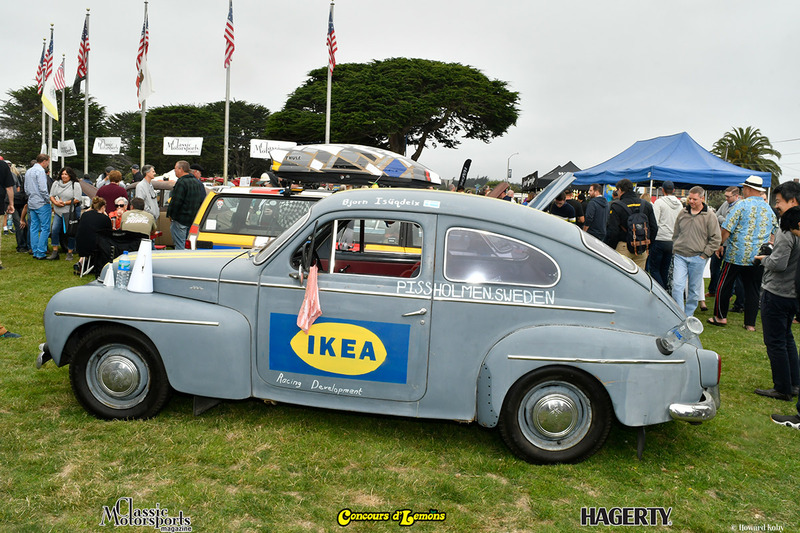 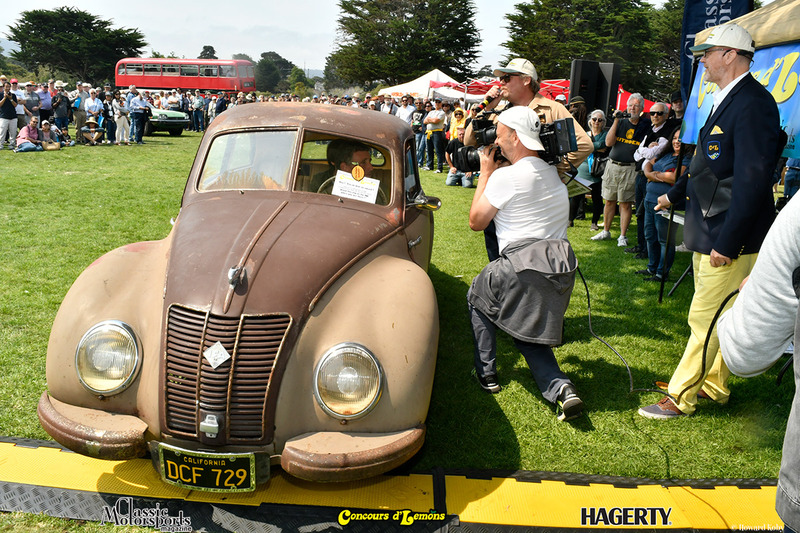 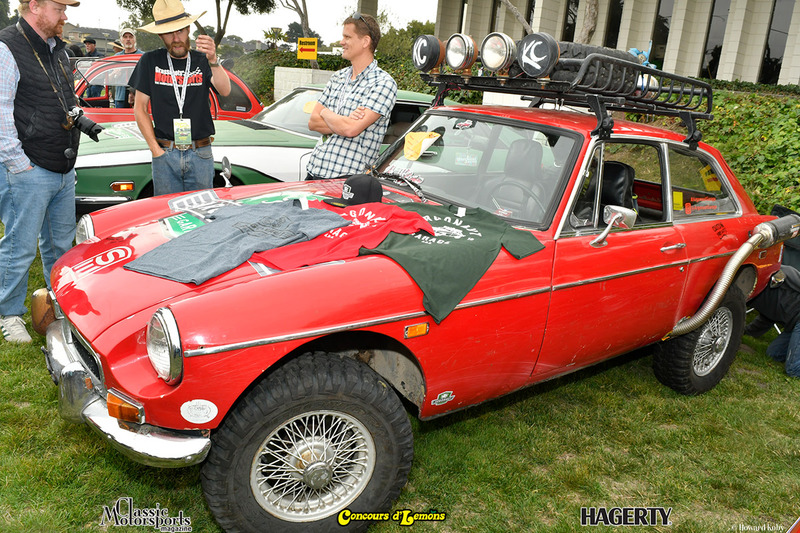 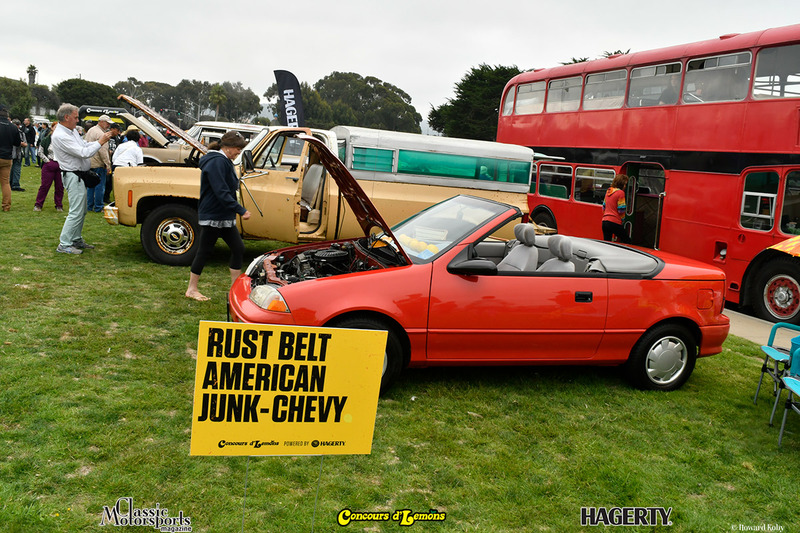 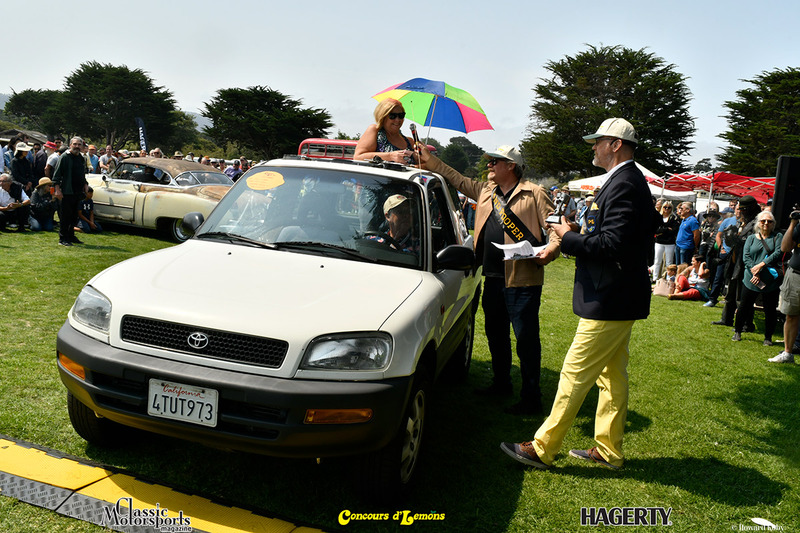 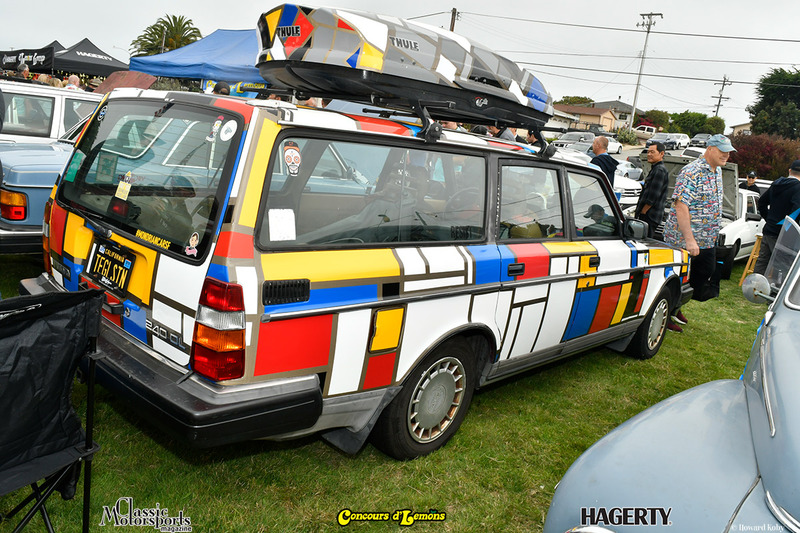 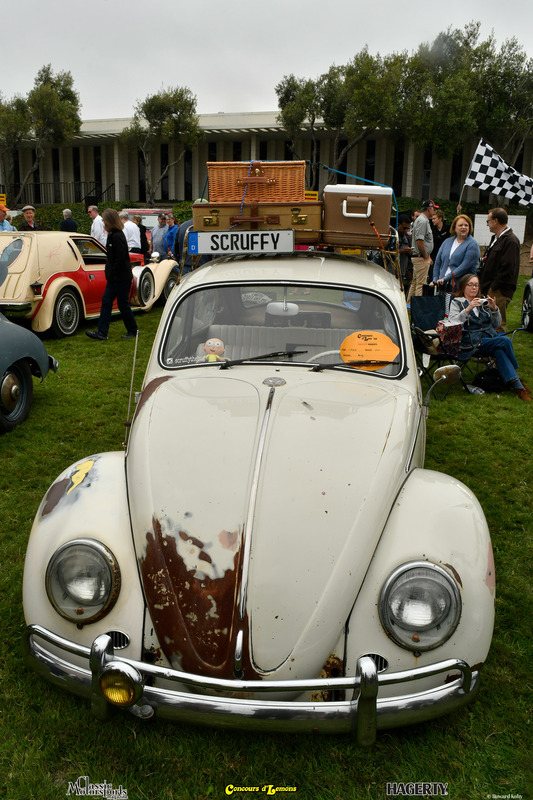 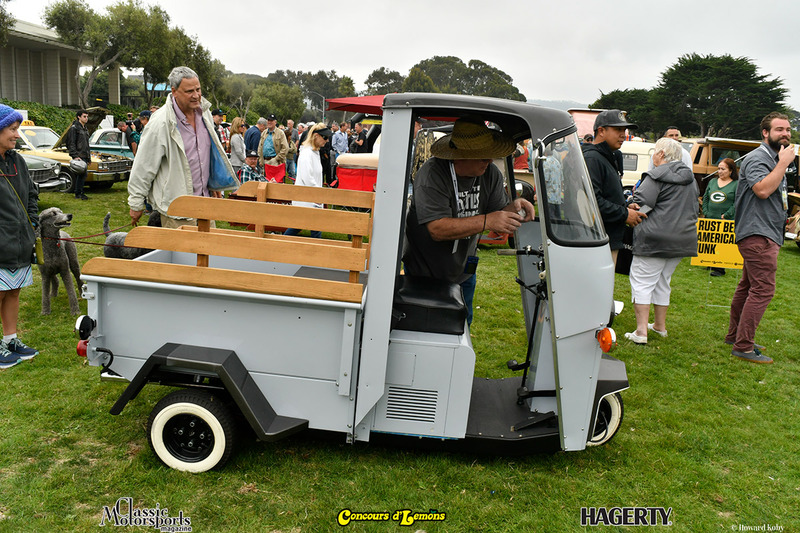 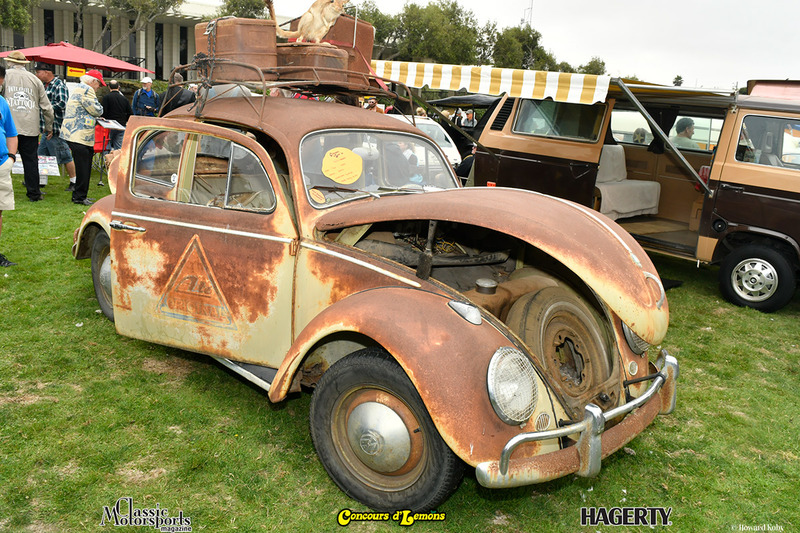 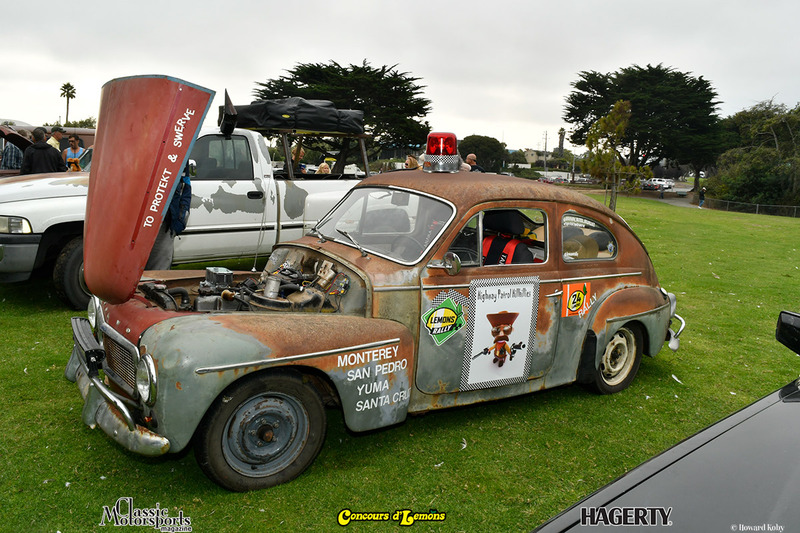 The Concours d’Lemons once again lowered property values during the otherwise high rent 2018 Monterey Auto Week. 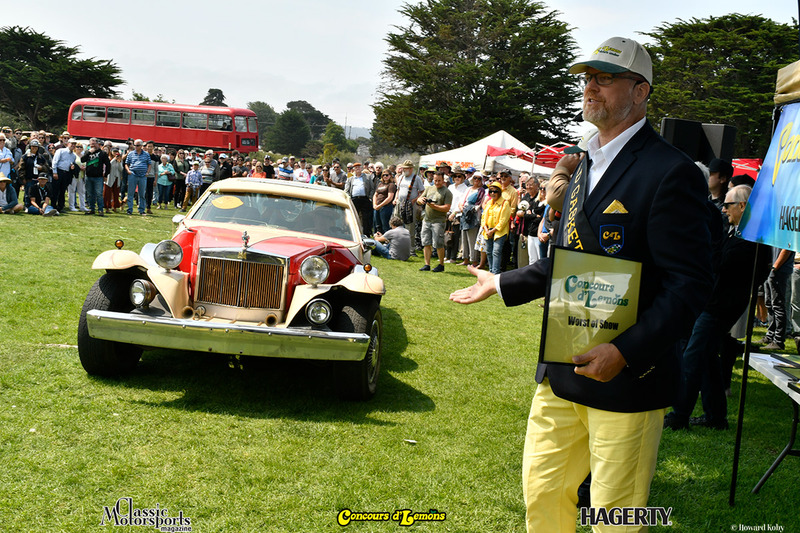 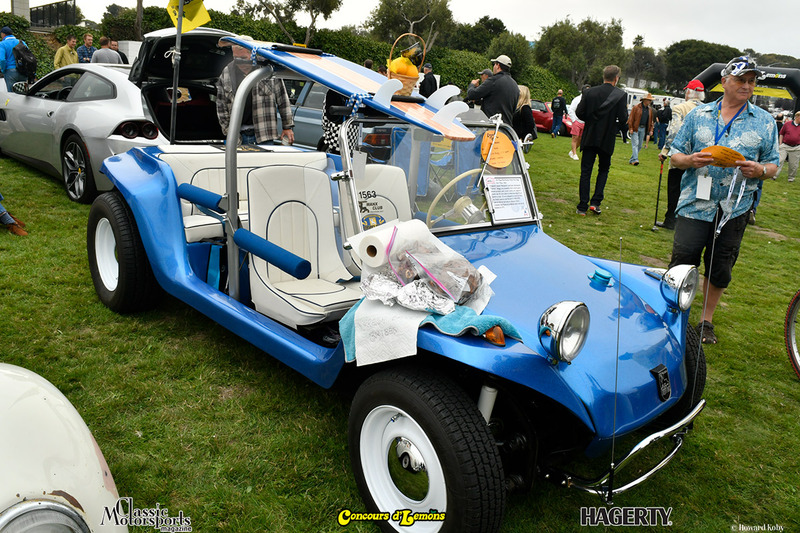 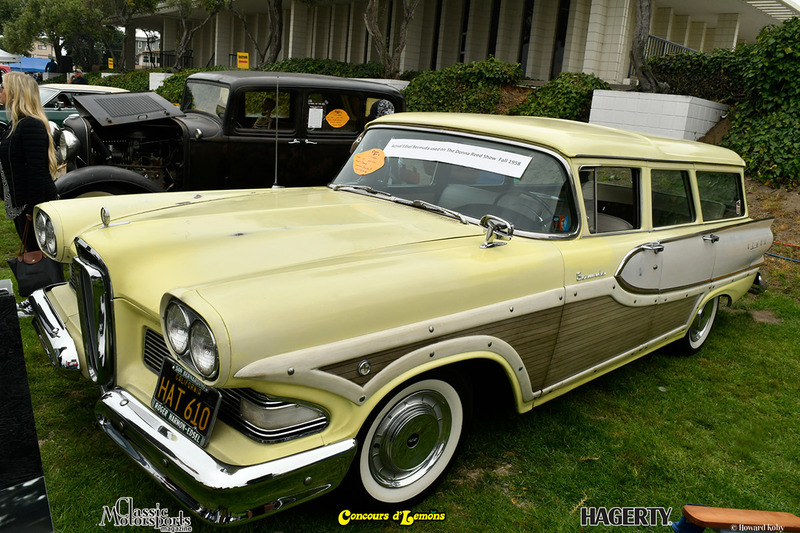 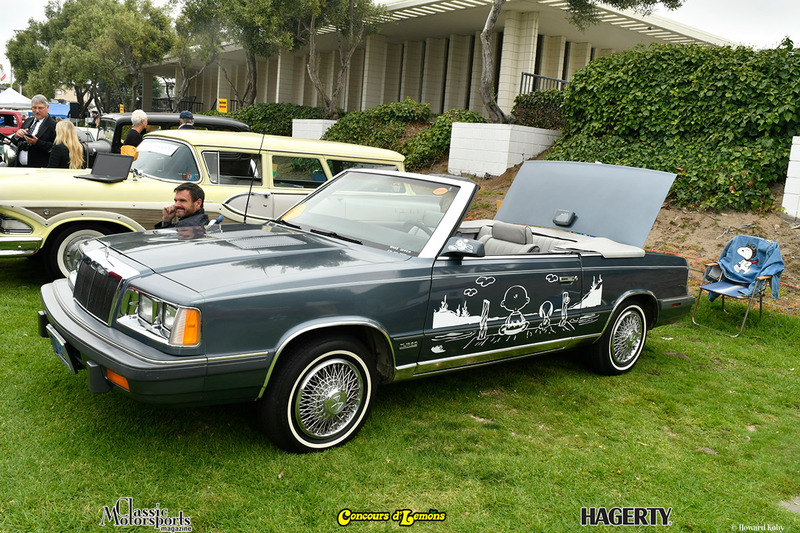 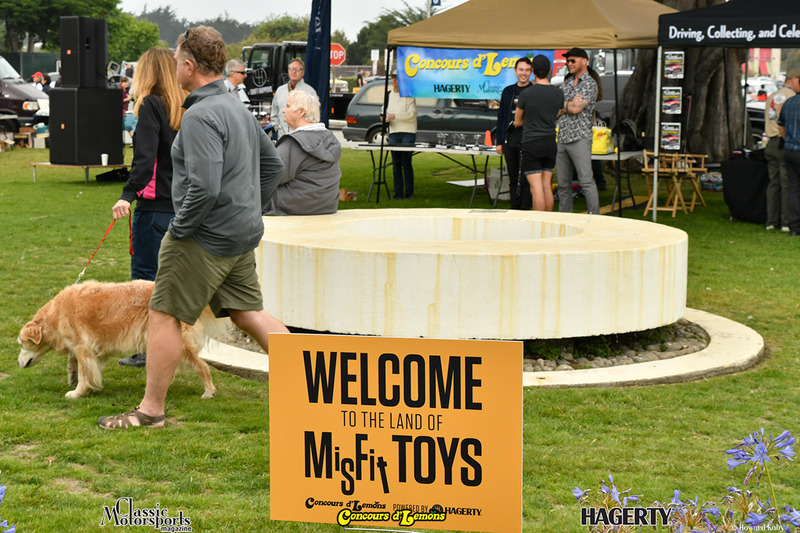 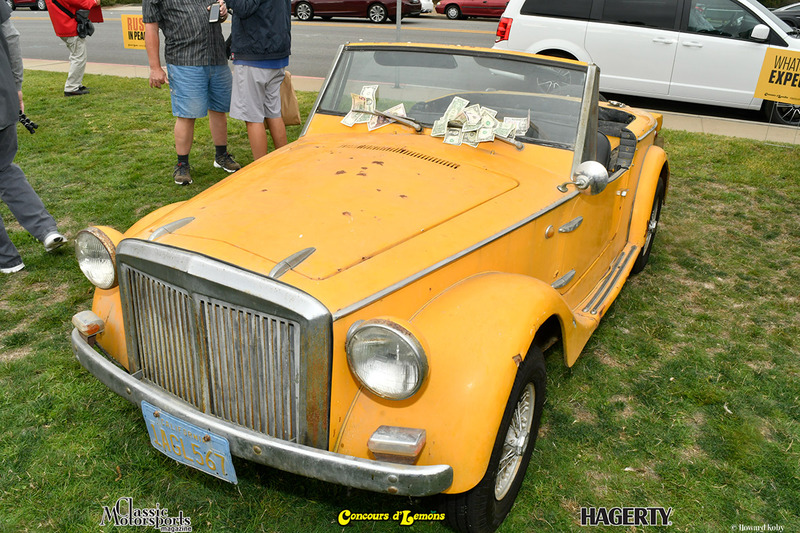 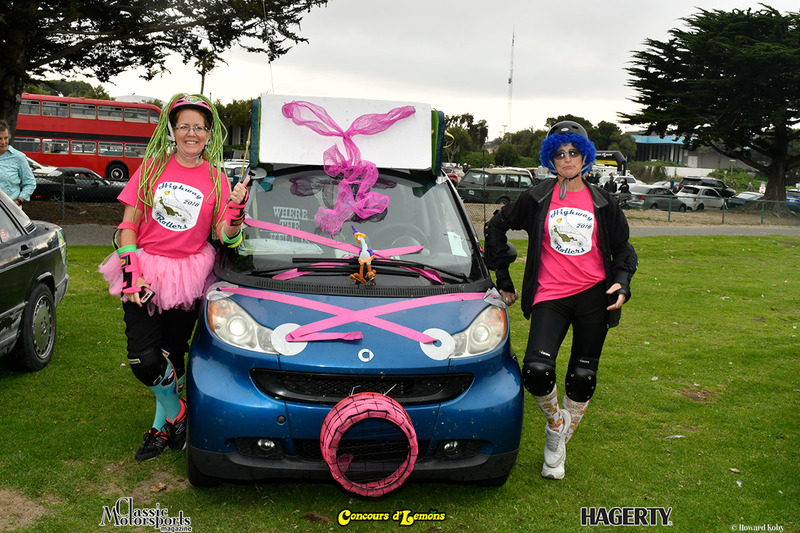 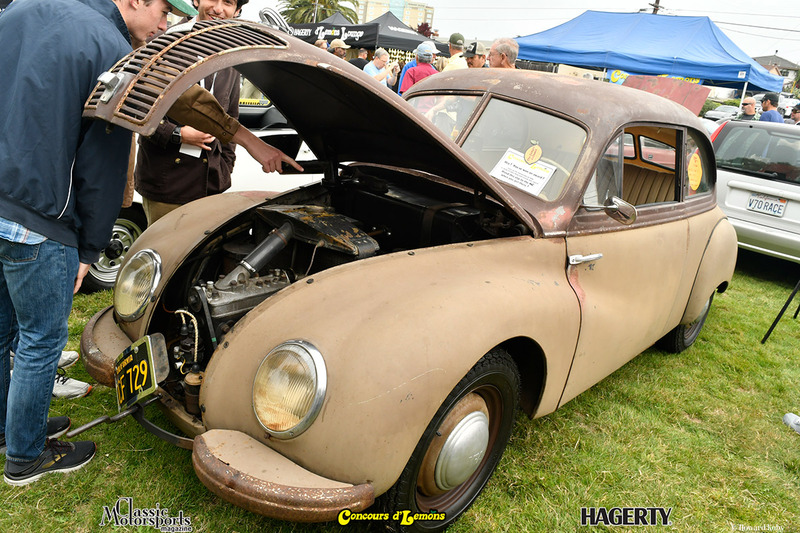 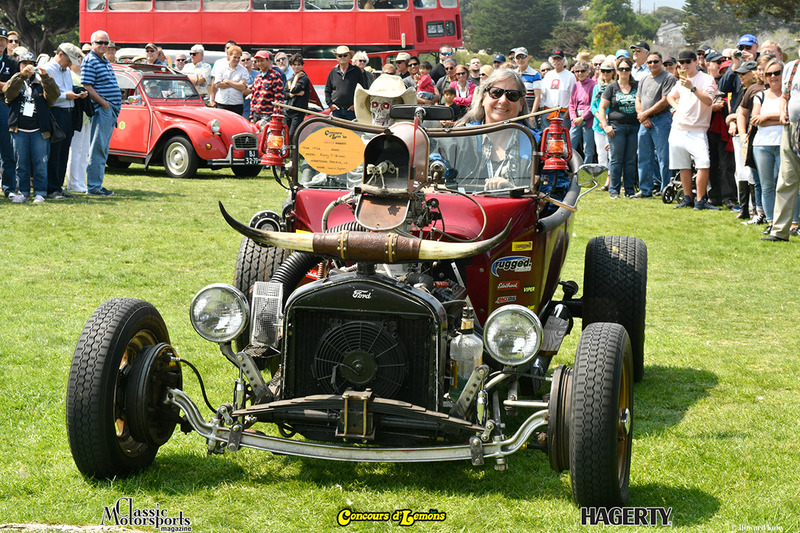 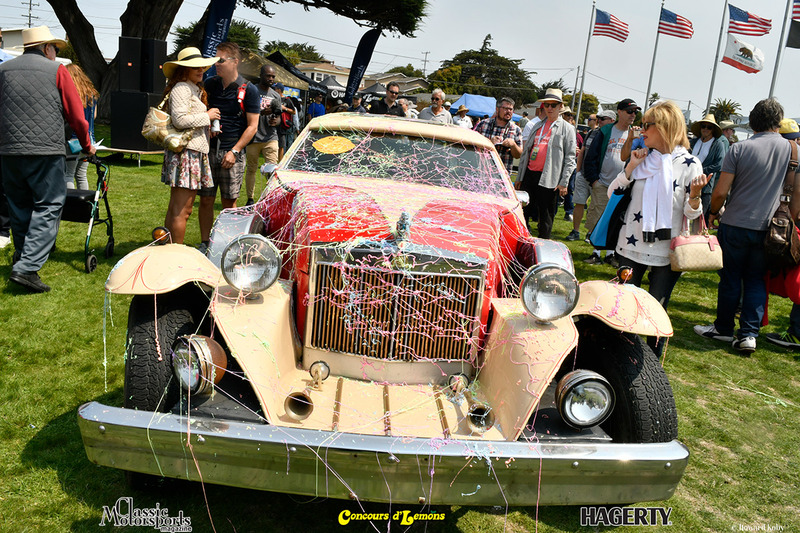 Over 100 Oddball, Mundane and Truly Awful cars littered the verdant lawn of Seaside City Hall on Aug. 25, 2018 to the delight of a record crowd consisting of billionaires and parolees alike. 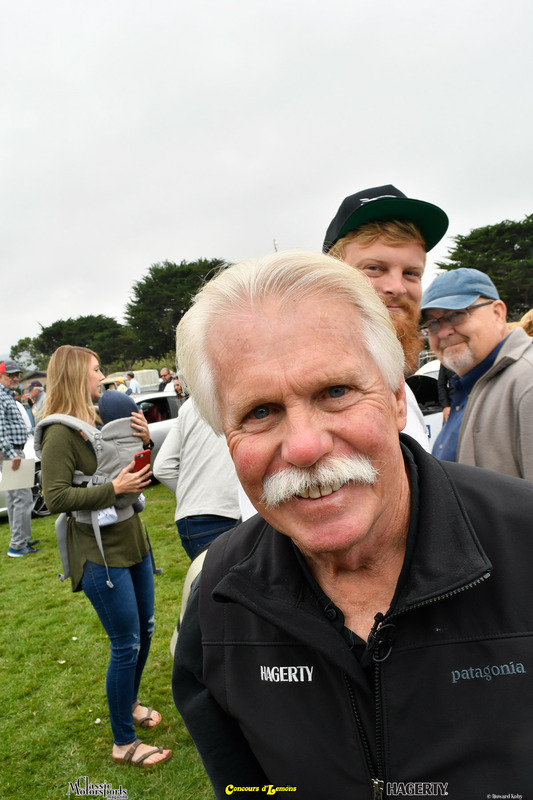 The all-star judging crew included such notable personalities as Formula 1/Indy500/LeMans/Bathhurst/Nascar driver and commentator, David Hobbs; Nascar commentator, Mike Joy; Amelia Island Concours Founder, Bill Warner; Nascar Crew Chief, Ray Everham; “Chasing Classic Cars” host, Wayne Carini; 24Hours of Lemons Chief Perpetrator, Jay Lamm; and a cast of other miscreants that decorum prevents the mentioning of in public. 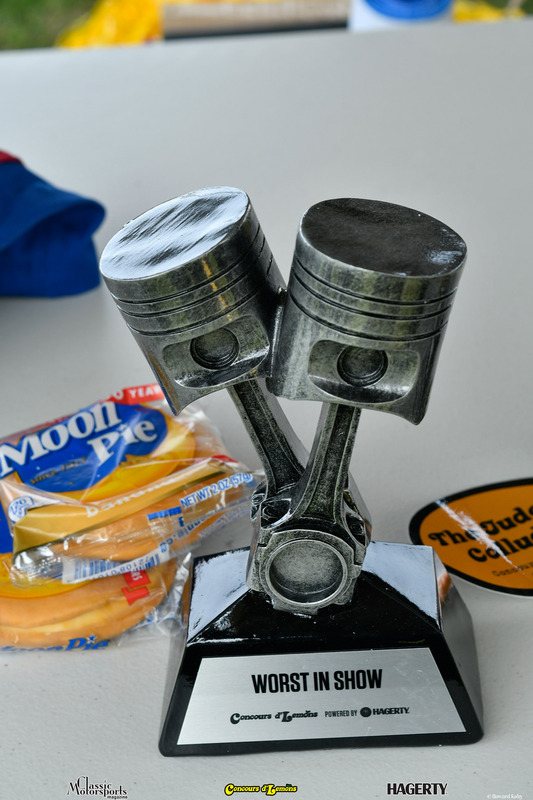 The judges colluded as often as possible by accepting bribes from participants hoping to secure thrift store sourced trophies. 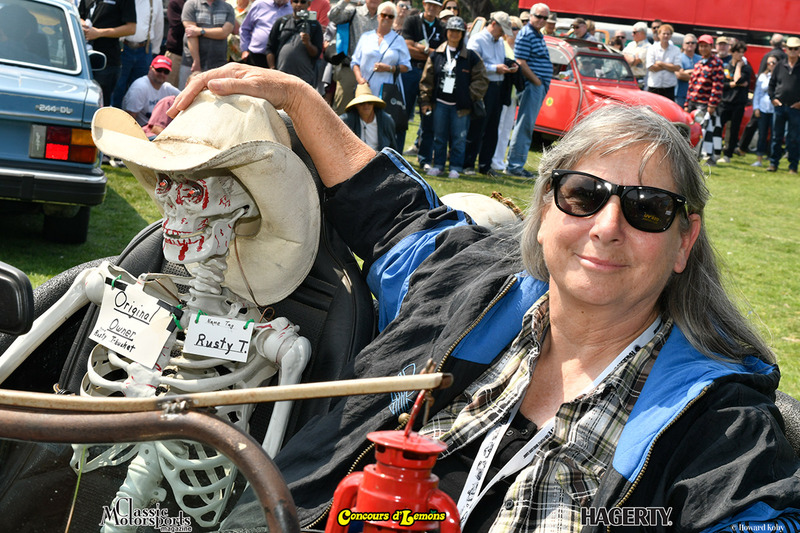 The results of the rigged witch hunt were tabulated by Classic Motorsports Magazine publisher and Head Judge, Tim Suddard, using a Curta Calculator, quadratic equations and lots of grain alcohol. 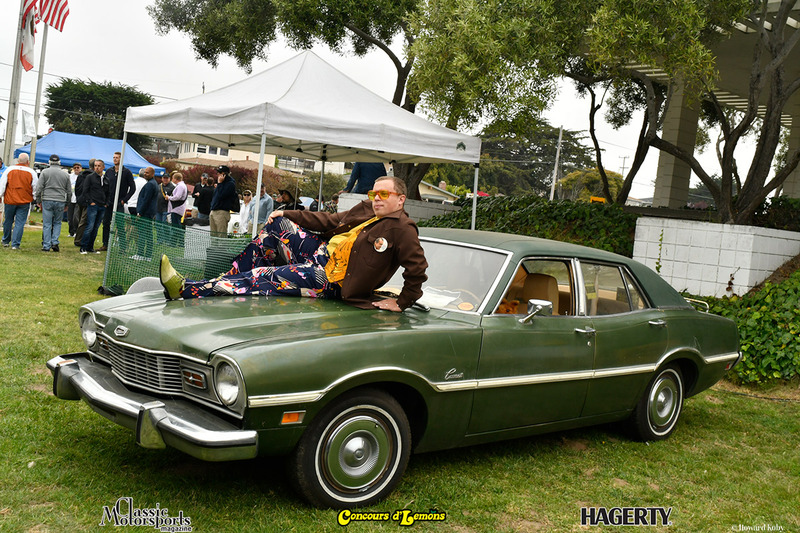 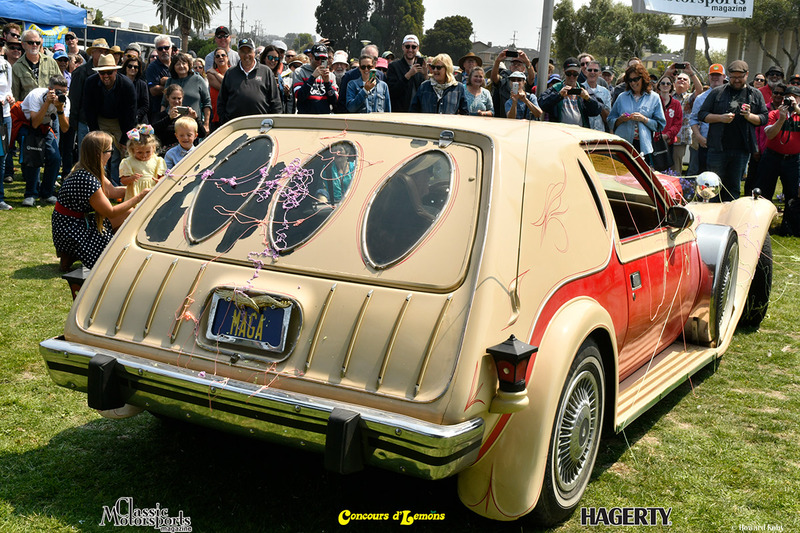 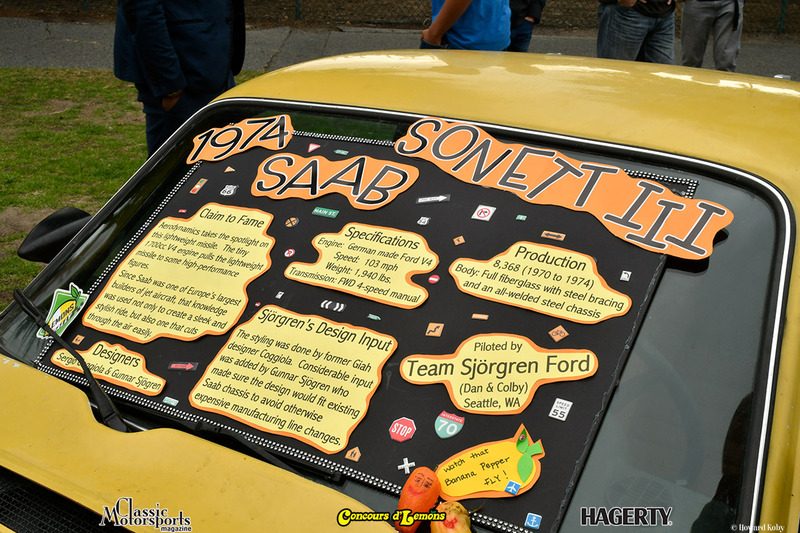 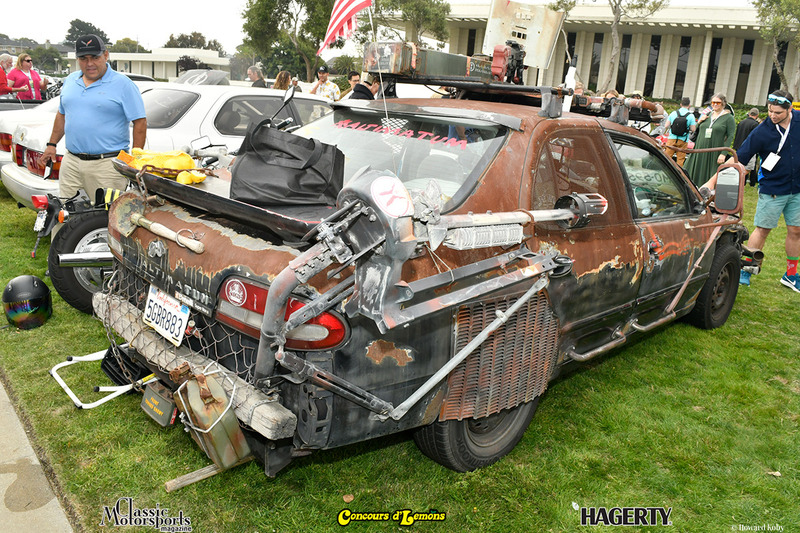 A flim-flam awards ceremony followed, during which a 1977 AMC Gremlin, owned by Jim Callahan of Oakland, CA, that had been modified to resemble a Zimmer was awarded the coveted “Worst of Show” trophy. 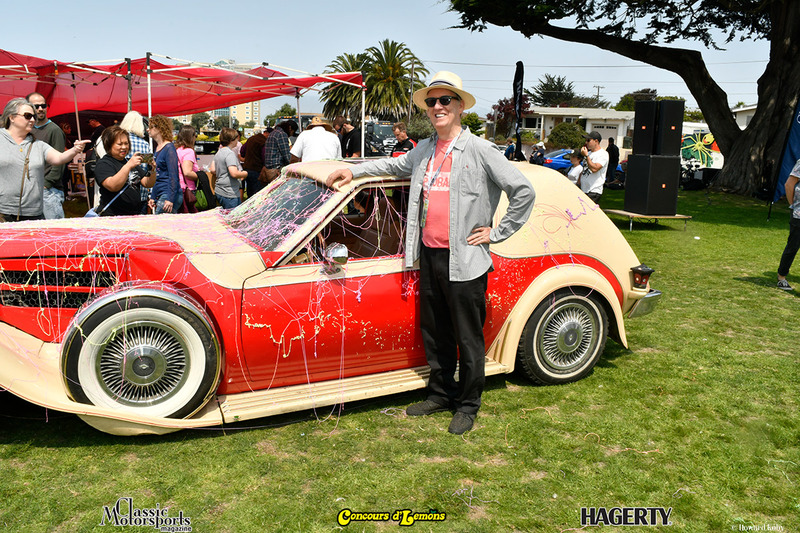 Jim and the Gremlin were then showered in Silly String by the adulatory crowd. 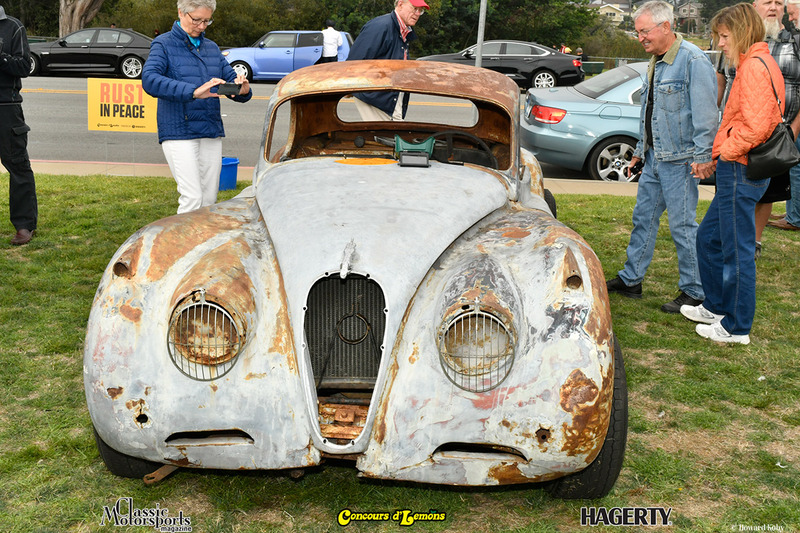 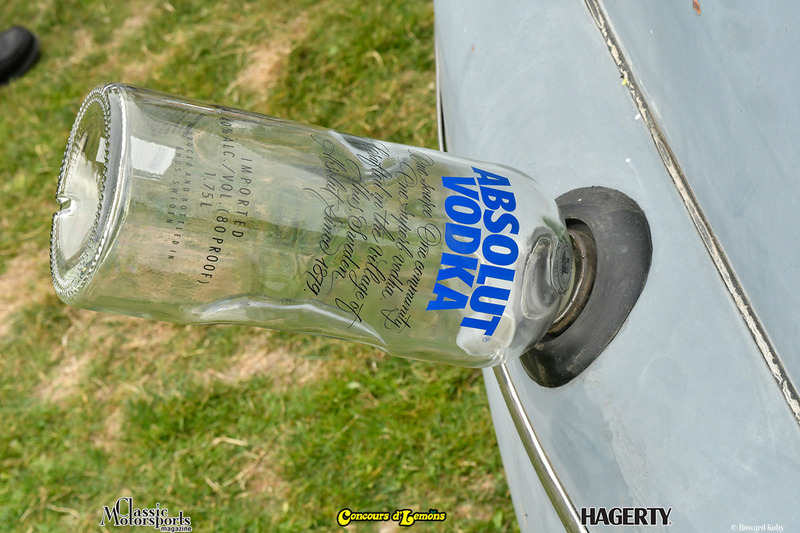 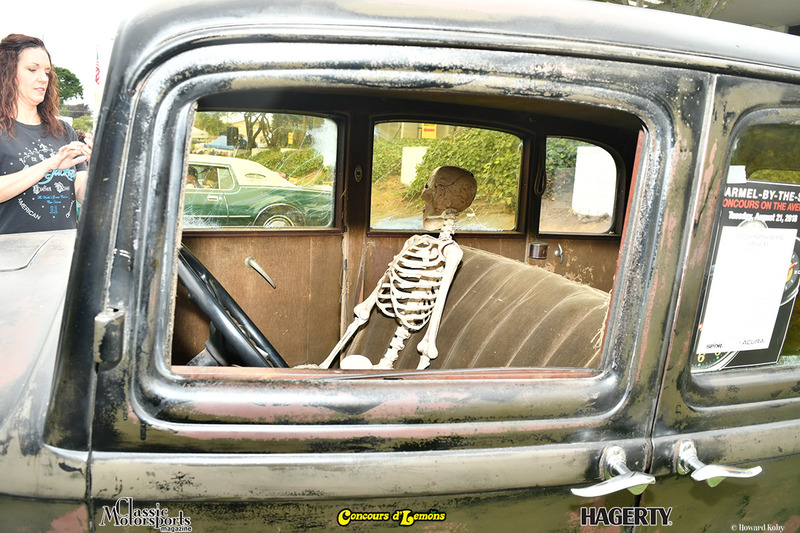 Classic Motorsports Magazine and Hagerty Insurance inexplicably sponsor the whole debacle, so its really all their fault.